After a series of Spotify executives gave presentations for nearly two hours at an investor event last month, the company brought out its closer: Barry McCarthy. 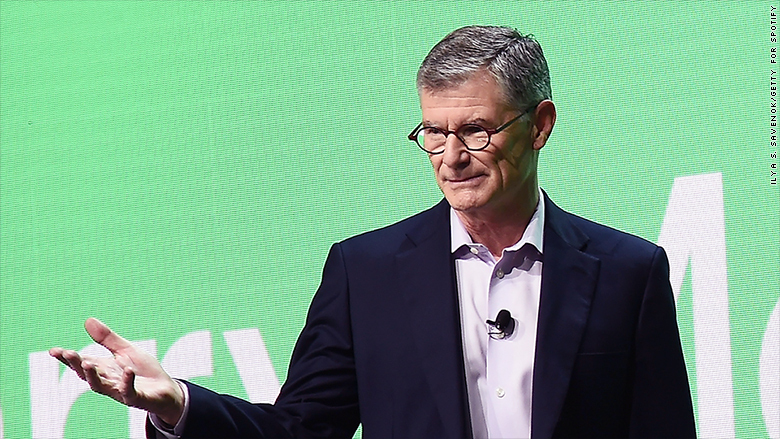 McCarthy, Spotify's CFO, stood in stark contrast to his boss. At 64, he wore a blazer, dress shirt and gray hair. Daniel Ek, Spotify's 35-year-old CEO and cofounder, presented in a plain white t-shirt and sneakers. What stood out more than the attire and age gap, however, was McCarthy's resume. He'd previously served as the CFO of Netflix (NFLX), helping to take the company public. Now he was pitching yet another entertainment service to Wall Street -- a coincidence he and Spotify made sure would not go unnoticed. "Since my Netflix retirement [in 2010], its stock price has increased about ten times," McCarthy told the investors, analysts and media outlets watching the presentation. "So you have to ask yourself: should I buy the stock now or should I wait til this guy retires? I hope to answer that question for you today." He mentioned Netflix three times in the first three minutes of his presentation, then name-dropped it again in a Q&A that followed, hinting each time at the significant investment opportunity ahead. On Tuesday, Spotify is going public in a highly unusual debut that sees it ditch the usual fundraising and fanfare. But the company is looking to lure investors in part by comparing itself to a company with which Wall Street is very familiar. "The comparison is good. It shows that even Netflix was underestimated and then they became this giant," says Santosh Rao, who tracks Spotify as head of research at Manhattan Venture Partners. "It shows that there is power in numbers." McCarthy is seen as the ideal pitchman. "He's the right person to sell that message," says Michael Pachter, an analyst with Wedbush. "Barry has street cred, so it helps immensely." McCarthy joined Netflix in 1999, shortly after its founding, and helped take the company public in 2002 at a time when it was still losing money -- not unlike Spotify today. Fifteen years later, Netflix stock had jumped 14,000%. "Barry was a brilliant partner through our IPO and during his years as our CFO," Reed Hastings, CEO and co-founder of Netflix, said in a statement to CNN. "Spotify is fortunate to have access to his no-nonsense approach and deep understanding of markets and investors." While Netflix and Spotify are both streaming businesses, there are significant differences. The key to Netflix's success in recent years has been spending heavily on original content to lure viewers. Spotify is less focused on exclusives than on developing algorithms to better personalize the music experience. Spotify also faces steeper losses and stiffer competition than Netflix did when it went public, with Apple (AAPL), Google (GOOGL) and Amazon (AMZN) all offering rival music services. 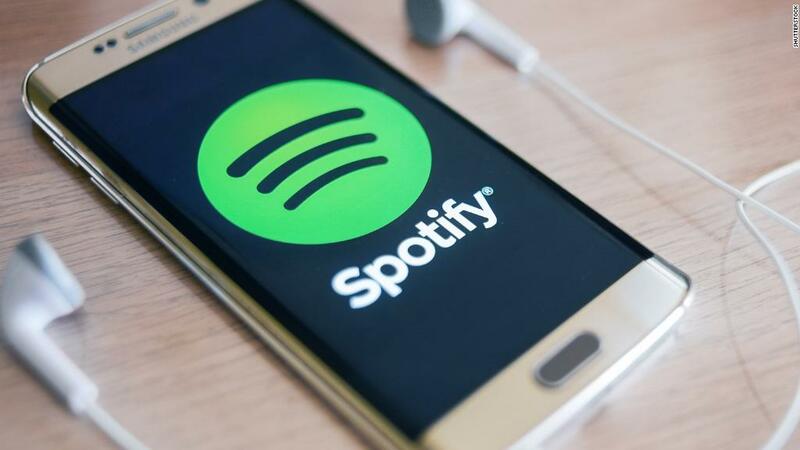 And Spotify is choosing to forfeit the usual safeguards for investors by listing its shares directly on the New York Stock Exchange without relying on underwriters to help assess demand and set a price. McCarthy will have to navigate those challenges. Spotify declined to comment for this story. Woody Marshall, a Spotify board member and a partner at Technology Crossover Ventures, called McCarthy a "great person and experienced executive." The only blight on McCarthy's resume comes from a role he held in between Netflix and Spotify. He briefly served as the COO of Clinkle, a much-hyped payments startup that nearly collapsed amid concerns about the leadership of its young CEO. When McCarthy left Clinkle in 2014, he told one publication that the startup was "not nearly as close to scaling the businesses as I thought they were when I came in the door. And that's what I do." The next year, McCarthy joined Spotify. Clinkle now barely registers as a footnote. All that mattered to those watching McCarthy's investor day presentation was Spotify -- and Netflix.